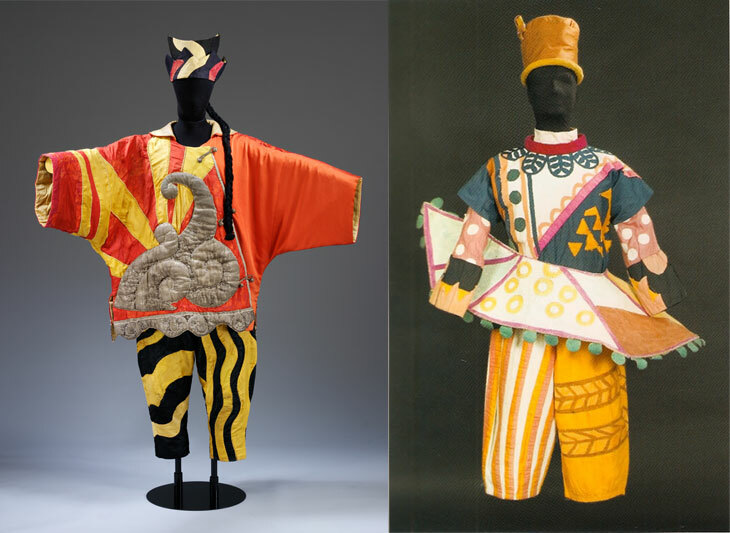 Extravagant materials constructed the costumes of the Ballets Russes. 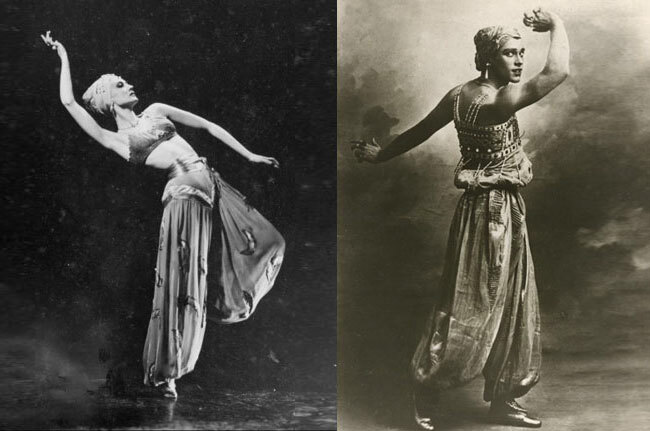 Rich tapestries, ornate embroideries, lavish jewels, and bright colors brought the stories to life on the stage, and aided in producing an avant-garde and revolutionary experience for the audience which gave the Ballets Russes its fame today. Otherworldly tales inspired the performances: pagan themes such as sacrifice infused The Rite of Spring, Firebird stemmed from a magical, folkloric character, puppets and jesters streamlined Petrushka. Such imaginative ideas necessitated exotic costumes. 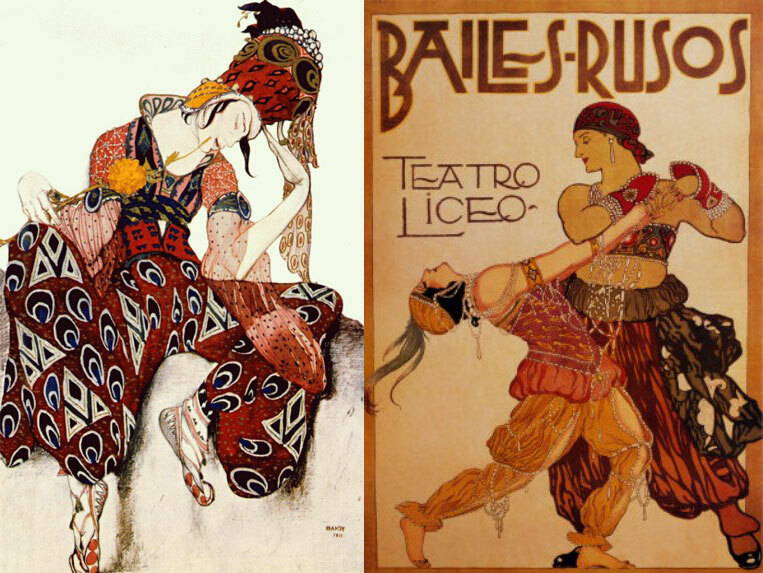 Much of the culture detailed in the Ballets Russes was that of the “other.” An unfamiliar land and faraway people entertained the audience, costumes were flowing and mysterious. Bohemian trends appeared that are in vogue today. Harem pants are one such silhouette that have found their way to modern streets. Brightly printed, comfortable and well-traveled, they are for the free-spirited. Feel like an artist in this Ballets Russes inspired outfit!